ASEI Insurance’s objective is to promote and support Government of Indonesia’s agenda in national economic development in general, and to aid non-oil and gas export development program within the insurance and guarantee business sector. ASEI also motivates banking industry to channeling their credit portfolio to real sector including the exporters. 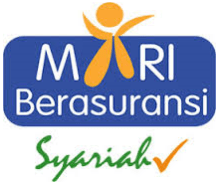 Moreover, ASEI will cover the insured from asset liability and protect the Obligee (Project Owner) from unfinished project development by the Principal (Contractor).